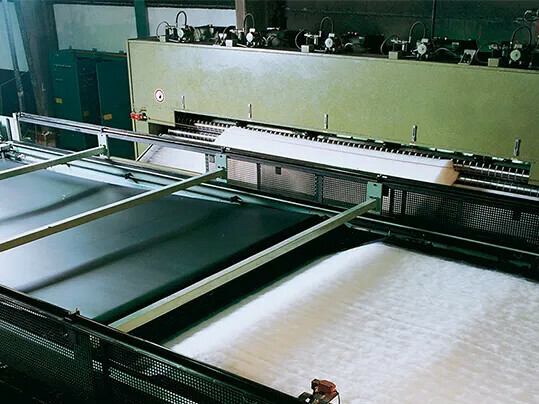 The technical requirements placed on web-laying belts are rising steadily in the face of ever faster machine speeds and the use of finer and more demanding synthetic nonwoven fibres and reduced web weights. A new belt type, E 4/2 U0/P2 MT-HC grey/black, has been developed especially for nonwovens, the main application being cross-lappers. Among the belt’s impressive attributes is its very low weight (0.8 kg/m2), allowing high processing speeds on high-speed systems for cross-lappers. Thanks to this, as well as the belt’s very laterally stiff design and its high chemical resistance to oil mist, it compares favourably with rival products. This belt is especially suitable for geotextile production. 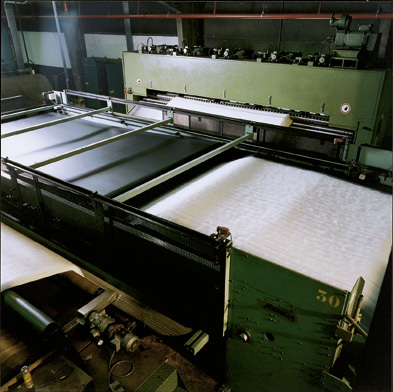 The Siegling Transilon – a belt type with a highly conductive polyamide coating on one side, and a tension member made of two-ply polyester fabric with particularly high lateral stiffness – is available for two production widths, namely 3,000 and 3,500 mm.